Perhaps it would help if I gave you glimpse of what I have planned for the coach. 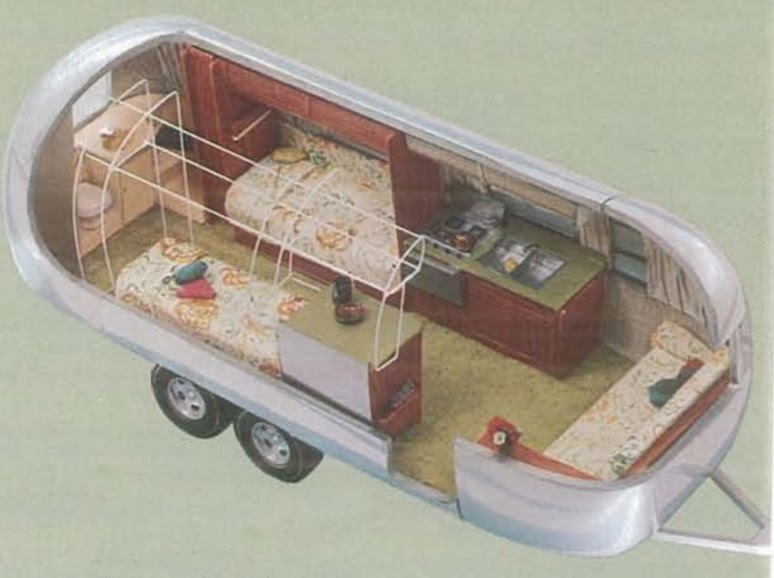 Keen 'Streamers will recognize this cutaway as an Airstream 25 rear twin, not an Argosy. 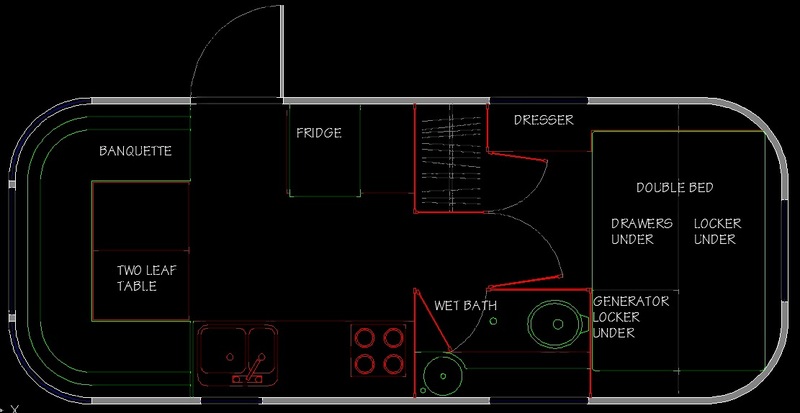 This layout worked pretty well when my daughters were young, but now, travelling alone, the twin beds don't make sense, the front pull out couch was always a misery and you know what I think of the bathroom. So out it comes, all of it! So here's where I'm going. In the layout below, the front of the coach is on the left. Up front the couch comes out and I squeeze the galley counter back a bit to build a big 3 sided banquette, seating for six. Then there are two removable table leaves, one for small groups, both for a banquet, and none for lounging, they also fit at seat height to support cushions to make a comfortable double. Moving back the galley remains much as it was but with much better appointments and storage. then a wet bath to port which gives much more room to shower, then into the bedroom, a closet and dresser to starboard and a double bed in the rear. A real bed! All the walls and cabinetry is oak, with slate for the bath floor and counters. It sounds like it will be heavy, but the new joinery will be about the same weight as the old, it's all 1/4" oak plywood with small solid oak frames. Under the rear bed is a huge locker accessed from outside and a generator locker on the port side, also with an outside hatch. under the forward half are drawers accessible from the bedroom. I'm adding 3 big water tanks underneath, solar panels on the roof and will repaint the coach to match the Rover, British Racing Green, with Limestone above.